Samsung’s latest flagship smartphone may not have even hit stores yet, but there are already rumors and leaked images of it’s smaller sibling, the new Samsung Galaxy S4 mini. 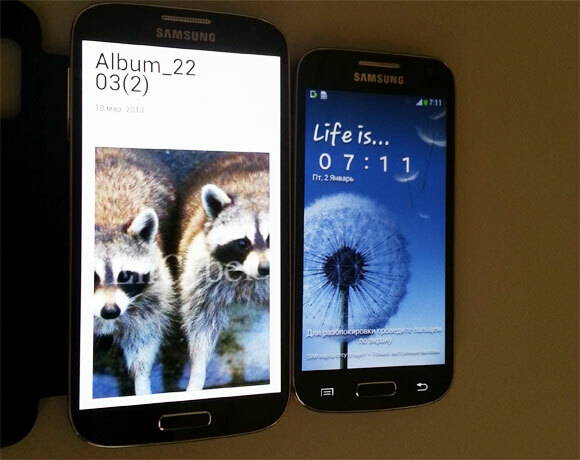 A number of photos have emerged which appear to confirm that a “mini’ iteration of the larger Samsung Galaxy S4 is in the pipeline for a June/July release. The Samsung Galaxy S4 Mini will sport a 4.3-inch Super AMOLED display with a 960×540 resolution and a pixel density of 256 ppi. This compares to the 5-inch HD display of the Galaxy S4 which features a massive 441 pixels per inch. The processor in the Samsung Galaxy S4 mini will not be the same quad-core Snapdragon beast that’s under the hood of the full-sized (American) Galaxy S4, but rather a 1.6Ghz dual-core variant running Android 4.2.2. The form factor of the Samsung Galaxy S4 mini is difficult to distinguish from its bigger brother, except in dimensions. The Galaxy S4 mini, like the Galaxy S3 mini before it, is a more diminutive phone than the Galaxy S4 – both in size and specifications. Samsung are clearly trying to bring the (modestly) updated design and technology of the Galaxy S4 to consumers who either 1) don’t want such a large display or 2) aren’t prepared to shell out for a $500+ smartphone, and in most respects the Galaxy S4 Mini is sure to satisfy these users. However, if you were hoping to score the impressive tech specs of the S4 in a smaller package then you’re going to be disappointed. 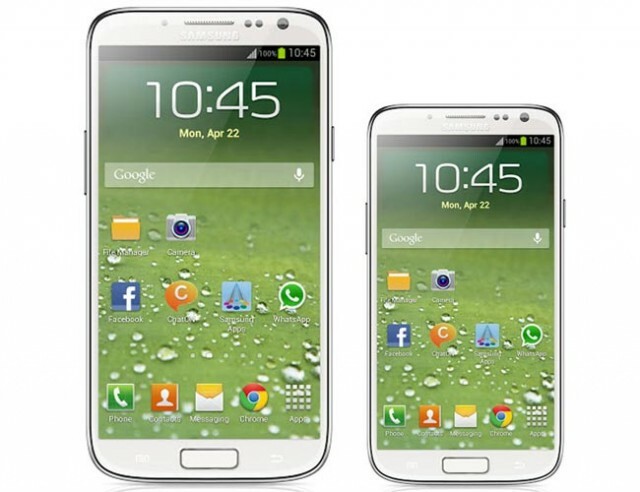 Would you choose the Samsung Galaxy S4 Mini over the full-sized version? Do you think that Samsung should have done more to differentiate the mini? Let us know your thoughts in the comments below.